Welcome to Virtual PIMpoint—North America 2017! Look forward to an action-packed day of inspiration and hands-on tips for how to efficiently manage content creation, e-commerce strategies, micro-moments of the customer journey, and the latest PIM updates! Date: May 25, 2017 What: Pick and chose from 14 different expert sessions Time: 11AM ET – 5PM ET / 8AM PT – 2PM PT Location: Join Online You’ll learn from experts as they share their successes, experiments, and mistakes, and participate online from anywhere you have internet access. You’ll have the opportunity to attend multiple educational and best practice sessions, visit the Exposition Hall to chat with industry experts, and network online with your peers. The Virtual PIMpoint—North America 2017 will take place on May 25, 2017 at 11AM ET / 8AM PT in an online venue. Virtual PIMpoint—North America 2017 will focus on enabling success in micro-moments—those short intent-driven windows of opportunity when consumers can be influenced by content and interaction. Micro-moments have become more important than ever as an opportunity for e-commerce companies to tell compelling product stories. inRiver also recently released the latest, most innovative version of inRiver PIM, marking an important technology shift and a major leap forward for meeting the customer in the micro-moment. We will present the new features and benefits of inRiver Product Marketing Cloud, so that you can get started today with addressing your customers’ micro-moments. Virtual PIMpoint—North America 2017 offers a full-day agenda that is designed for any role connected to inRiver PIM—providing e-commerce strategies, case study discussions, partner news, and technology updates. Over the last five years, the European held PIMpoint has expanded immensely. This year we’re bringing the best of the EMEA event to you no matter where you are located. Don’t miss this great opportunity to join the inRiver community online. Register for a virtual seat to get the latest inRiver PIM insights. Join us for an action-packed day of inspiration and hands-on tips for how to efficiently manage content creation, e-commerce strategies, micro-moments of the customer journey, and the latest PIM updates! Customers want to know, go, do, and buy, all right now as they experience moments of their customer journey. How can you give them the quality content they want and need to make their purchase decision now? Johan delves into the fascinating and disturbing phenomenon of disintermediation, covering the causes of removing intermediaries in the supply chain, and the impact on today’s companies. This concentrated session highlights the most interesting and critical aspects of the B2B and B2C customer stories shared at Copenhagen PIMpoint 2017. Pixie puts the spotlight on how brands can develop data driven storytelling platforms that will allow them to create consistent, meaningful experiences across all their touchpoints. 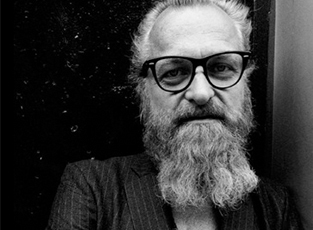 Hear the extremely personal professional journey of Johan Lindeberg as he shares the passion and energy behind the creation of the Diesel, Black Denim, and J. Lindeberg brands. Adage Technologies develops and delivers web solutions that are reliable, adaptable and scalable while providing clients with an unsurpassed level of service. Adage uses a proven delivery model to successfully discover, design, develop, demonstrate, and deploy a web application in the most efficient and cost-effective way possible. Adage has received numerous awards and accolades from clients, partners, and community over the last few years. Aware is a full service digital agency and system integration partner. Through our strong partnerships, Aware taps the power of the best-in-breed technology platforms to strengthen brands, enable marketing strategies and build technology for engaging digital experiences. An award-winning digital agency since 1998, the company is based in Minneapolis, MN USA. Perficient Digital blends the strategic imagination of an agency with the deep technical acumen of Perficient’s established consultancy background to deliver exceptional customer experiences for the world’s biggest brands. If the fusing of powerful technology and management consulting with insightful agency strategy and creativity is a new convention, we’ve already broken it. Our full-service offering is designed to tackle your ever-changing, ever-increasing business challenges by making sure the executional means never fail the strategic vision. Virtucom Group provides enterprises with full-service, end-to-end product content solutions. From consumer electronics to camping gear and video games to golf clubs, Virtucom Group delivers content services for leading multichannel e-commerce in every product category. Whether Johan’s been working with J. Lindeberg or Justin Timberlake, his conviction is that a strong brand is built from the inside out. His work was built on passion and challenging the conventional. But most important, it must to be engaging. With today’s consumer awareness, this is even more true: if you’re not engaging with your customers you’re destined to fail. Johan will provide thoughts on what to do and not to do to inspire, you to walk your own path. His Keynote at PIMpoint 2017 will be very honest and straightforward, to bring you on his professional journey which is also extremely personal. Everything he’s done, every brand he’s built, is a reflection of his persona at that time. After bringing edge and commercial success to Diesel in the 90’s, Johan Lindeberg started his own fashion brand J.Lindeberg in 1996. He left this brand in 2007 to, among other things, start BLK DNM in New York. After 10 years, Johan Lindeberg returned to Sweden to the company he started, lending his wisdom and creative talent to the fashion brand bearing his name. Attend this session to hear progressive and modern thoughts, together with a fascinating life story. The list of potential interactions a brand can have with its audiences is almost infinite. In today’s ever-changing digital landscape, brands often end up fragmented with a multitude of messages, stories and experiences competing with each other. This often leaves brands without relevance, without empathy, and without meaningful conversation. Fragmentation, combined with outdated ways of working, is alienating audiences everywhere. And that's no surprise; real people want real brands. Pixie will dive into how brands can develop data-driven storytelling platforms that will allow them to create consistent, meaningful experiences across all their touchpoints. We will look into shifting from demographic targeting towards a more relevant form of psychographic segmenting and work to understand how real people communicate. Because we all know that brands no longer hold the balance of power, audiences do. Pixie Sartang has emerged as an engaging and popular speaker. Her insightful, practical approach ensures that the audience has always something interesting to take home. As a speaker at Super Content Marketing and SIME 2015, she was top-ranked among the visitors. 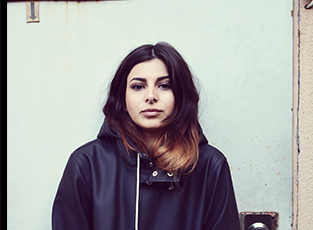 Today she works as Co-Founder and Senior Strategist at the House of Harvey. Before moving to Sweden, Pixie worked with digital strategies for several major companies in London. 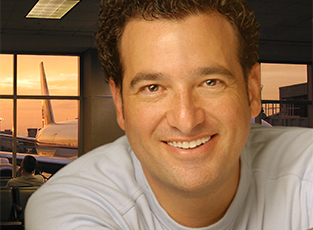 Daniel Levine is one of the world's best-known trends experts. Hailed as a "genius" by Elle magazine and "the ultimate guru of cool" by CNN, he is the author of over 20 best-selling books and a frequent guest on international television and radio. Daniel is the Executive Director of the Avant-Guide Institute, a New York-based trends consultancy, where he is the leader of a large international team of trend-spotters who track the latest ideas and experiences from around the globe. Daniel works with businesses and brands around the world to help them be more relevant, innovative, and profitable. Niclas has worked in the IT business for nearly two decades, including his time at inRiver. 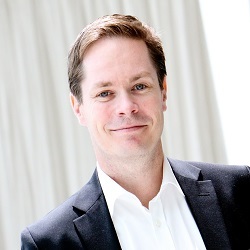 Niclas assumed his current role as the CEO for inRiver in 2009. The company has seen tremendous development and growth during this time. Prior to inRiver, Niclas worked for Stratiteq, Eterra and Ementor. He holds a diploma in Market Economy from IHM Business School, and is a Senior Chief in the Swedish Army. As a thought leader on PIM and CTO at inRiver, Jimmy travels the world, bringing his knowledge and expertise to successful customer projects and various events. Jimmy has nearly two decades of extensive knowledge and experience from working with information management and the technical aspects of software development - as a developer, business consultant, manager and analyst. Jimmy has made large-scale transformations to the inRiver PIM software. Prior to inRiver, he worked for Stratiteq, Connecta, ComFina and Comviq. Jimmy holds a Bachelor's degree in Computer Science from Kalmar Högskola. David brings over twenty years of program and project management experience to designing technical solutions for complex customer challenges. He is an expert in Digital Asset Management (DAM) and has managed multiple large implementations of enterprise level DAM systems, including all related digital marketing software systems. David has a proven track record of helping companies overcome obstacles and exceed their goals. Boström has worked in the information technology business for roughly two decades and is one of the founders of inRiver. Prior to inRiver, he held leading positions at DDMM, Sema Group and UDK. Boström has worked with e-commerce and content management for web and portals since the mid-1990s in Sweden, the United States and other countries. He studied data communication, system development and philosophy at the University of Umeå. 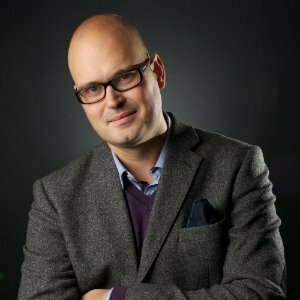 Henrik is a business software product specialist, bringing nearly two decades of experience from the industry to his role as VP, Product Marketing at inRiver. At inRiver he runs product marketing and analyst relations. Prior to joining inRiver, he spent several years with QlikTech (Qlik), where he contributed to the phenomenal growth that took the company from a local, Sweden-based start up to the internationally acknowledged software company it is today. Henrik holds a master’s degree from Lund University. 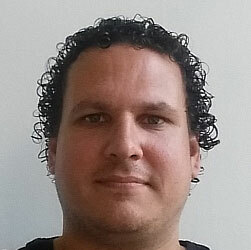 Fedde works as Director Sales Engineering EMEA at the inRiver Amsterdam office. In 2015 he joined the EMEA Sales engineers team, being responsible for designing excellent omnichannel PIM solutions, including data models and supporting business processes, and presenting them to inRiver prospects. 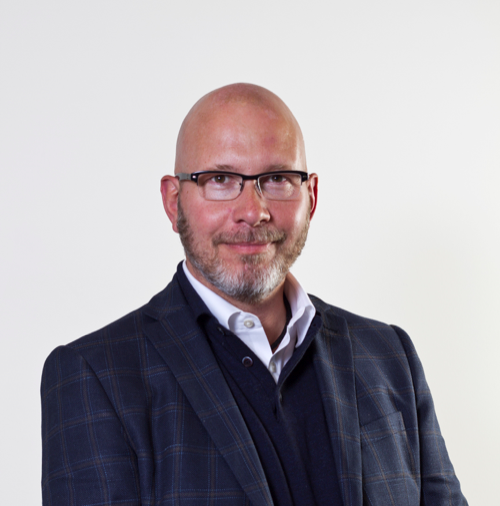 Prior to joining inRiver Fedde has several years of experience with customer relationship management, people management, sales and consultancy. Thomas has been with inRiver since 2014 as a Senior Sales Engineer, developing innovative solutions for inRiver customers. 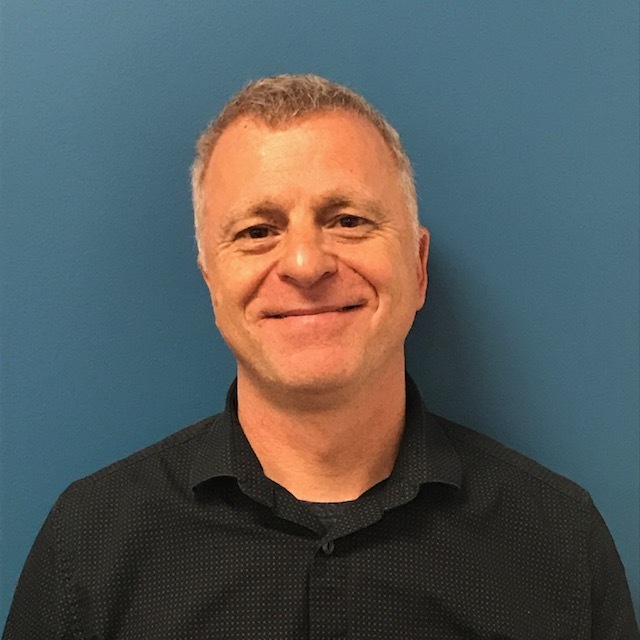 Prior to joining inRiver, Thomas has held marketing and sales positions at Framfab, Printship, and more recently Kartena, a pioneer in Geographical IT solutions. Thomas is a true entrepreneur and always finds an opportunity for improvement and creativity in any situation. He loves problem solving, which he put to work in the development of the new In-Context Editing feature of inRiver Product Marketing Cloud. Now the sky is the limit!